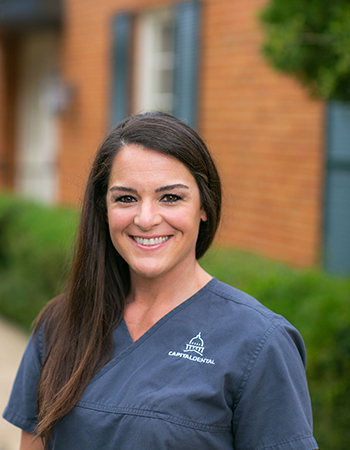 Jessica is a Dental Hygienist and has been with Dr. Grubbs for over 11 years. Her husband, Patrick and he have two daughters, Bella Grace, 8, and Charleston, 5. The Saums live in Raymond and Jessica enjoys crossfit training, baking and her daughters’ activities.